What is called a cataract? Basically, a cataract is the cloudiness of the eye natural lens, which is lying in between the front and the back areas of the eye and it is also directly behind the pupil, which is one of the most important part of eye. Ques: Is it true that the cataracts are found only in the older people? Ans: Mainly, most of the cataracts develop slowly with the pace of time and it starts affecting the people over the age 50. Also, approximately half of the population find the problem of the cataract by the age of 65, and also majority of the people acquire it over the age of 75. However, in the rare cases, the infants can also acquire the congenital cataracts. This can happen if the mother has the disease like German measles, chickenpox, or another infectious disease during her pregnancy period. Moreover, sometimes they are inherited too. Ques: I met my eye specialist because I felt that I might have the cataract problem and now my doctor has clinched that but he still wants to wait a while before removing it. Why? Ans: The cataract problem when it starts is very small and pragmatically it also unnoticeable but with the pace of time it grows gradually larger and become cloudier. Probably, your doctor is waiting for the precise time until the cataract problem interferes prominently within your vision and also in your lifestyle. 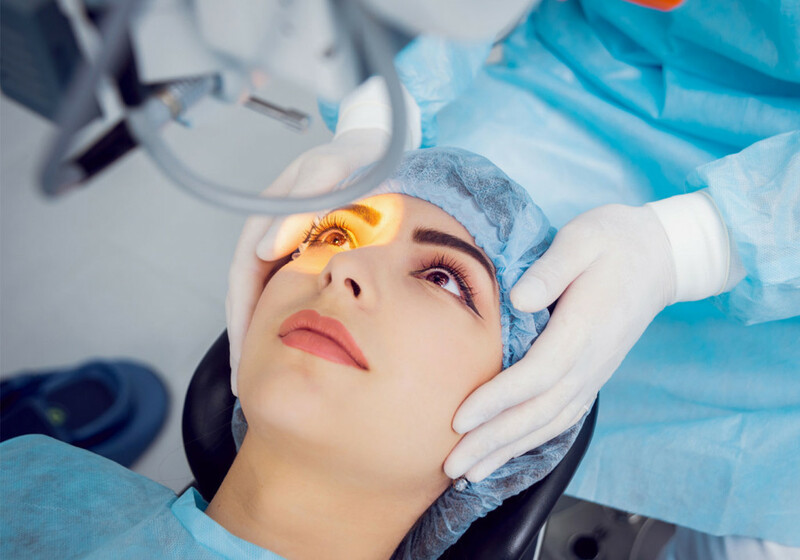 You should not stop going to your doctor and must continue to visit your eye doctor on the regularly basis, so that he can observe everything properly and the cataract’s progress can be monitored precisely. Some of the cataracts never reach up to the phase, at which they should be removed. So, keep patience. Ques: Is the surgery of cataract serious? Ans: Evidently, all the surgeries involve some risk factors, so of course yes, it is serious. However, the cataract surgery is most often performed type of surgery in the United States. Many of the cataract surgeons have abundant procedures under their own belt. So, choosing a right surgeon with high profile experience can redeem the risk level. Ques: What the Doctor Literally Looks for? Ans: Mainly the doctors suspect about the cataracts on the premises of your age and also from your medical history like if you have the problem of diabetes or you use prescription corticosteroids and so on. Ques: When to make a call to your Doctor? Ans: You can call your doctor, whenever you find the trouble in seeing clearly. If you are older than 40 years, then must schedule an eye examination prominently with your doctor in every two years. Ques: What is the expected duration of the cataract? Ans: Basically, this is a very long-term problem. In most of the patients, their bad effects on the vision increases with the pace of time. Disclaimer: The content on this website (www.aanyaeyecentre.com) is solely for the purpose of educating and creating awareness about the domain i.e. Eye Speciality. This shall not be treated as a substitute to a professional eye surgeon's advice or prescription. Every individual and their case is different, so the results of any of the treatments mentioned on the website may vary.